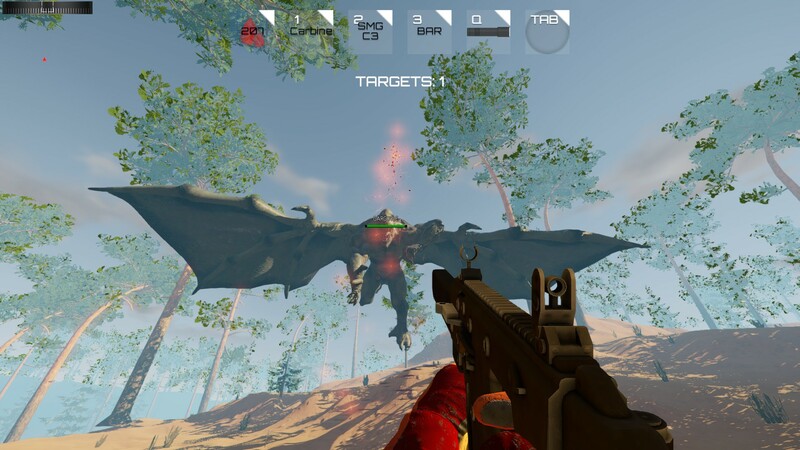 BLOODY GLIMPSE is a chaotic first person shooter that confronts heavily armed players with the most horrifying night creatures - Gargoyles. The world of Bloody Glimpse is set during war times, in Africa, with wide range of weapons available at your disposal. The story starts somewhere in the middle of the desert, when during the night recon, your whole team just disappears one by one. As the only survivor, as soon as the sun goes up, you set on a mission to find your missing buddies. Variety of creatures to shoot and dice, ranging from small, thorough medium up to tough as hell Gargoyles and derivatives. Multiple bosses to defeat with huge arsenal of weapons. Bloody Glimpse will take you on a immersive journey through bloody and dark world, the one that you always dreamed of.